How do you dispose of daily discarded papers, stored records and old hard drives? Do you pay professional employees to shred paper? Would your customers, clients, and employees be satisfied with how you dispose of their confidential information? We are Certified Document Destruction & Shredding Specialists. We offer free use of locked containers to collect your sensitive documents. We schedule service pickups that work for you. A breach of data contained on hard drives and other media should be a huge concern for every business. We ensure that we destroy data contained on these devices in a secure and environmentally friendly way. We offer pickup of your office electronic equipment that you have retired. All retired electronics are recycled in an environmentally friendly and secure method. We offer a on-site or plant based document shredding solution that works for your needs and for your budget. It's our goal to be cost-effective while securing your data. It's important to know that your shredding company can protect your security and privacy. We are AAA Certified with the National Association for Information Destruction (NAID), fully bonded and insured. When Security Counts... Count On Us! Great Services at a Great Price! 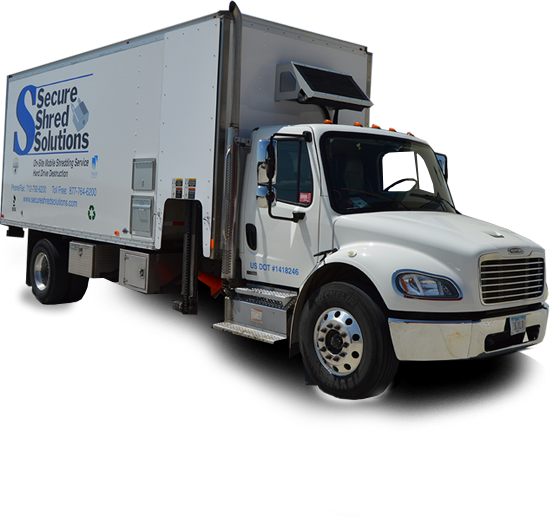 "Secure Shred Solutions - Great Service at a Great Price! This Company is dependable, accessible, reliable and very easy to work with. They have taken care of our shredding and disposal needs for quite a while now and we very much appreciate the Company and the people that work there."